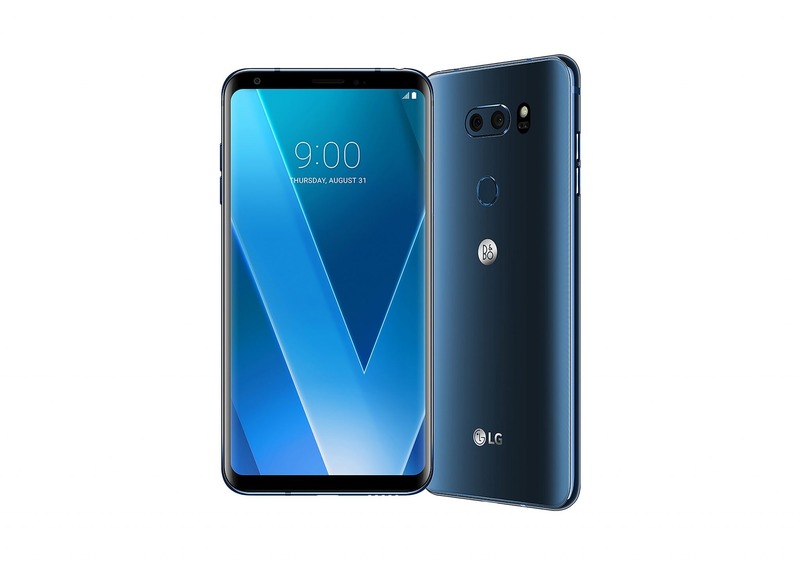 The LG V30 is one of the highly anticipated smartphones of this year, and the phone was officially launched today at the event in Berlin with the LG V30+. As the name suggests, it is the successor of last year’s LG V20 and third smartphone in the V-series of LG. There have been a lot of leaks of the phones, and even the company itself revealed some of the features like a great audio experience, a full-vision OLED Display etc. The phones are now official and are indeed perfect high-end smartphones of 2017 that pack great hardware as well as the software. Let’s talk about the design and the specifications of the V30 & the LG V30+. Keep in mind that there are no official details about the pricing. 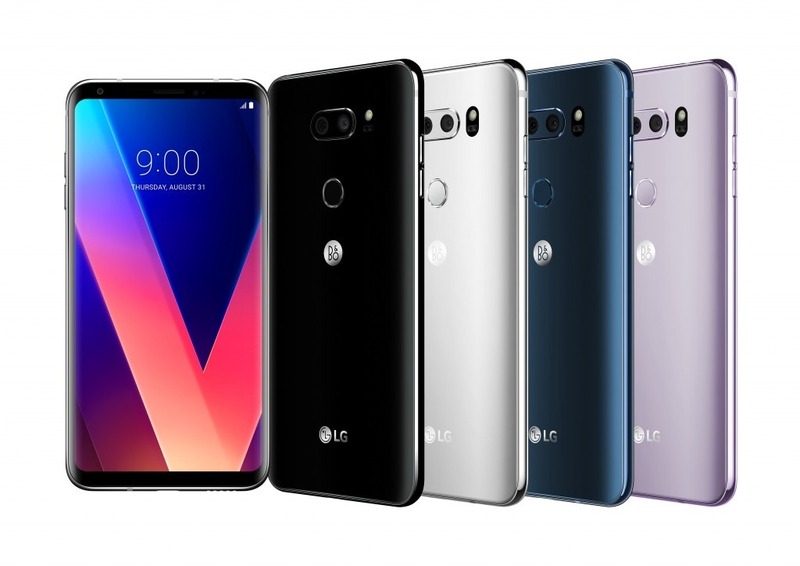 2.1 LG V30+ – IS IT DIFFERENT? The LG V30 is a solid phone when it comes to the build. The Metal and Glass design makes the phone looks premium. The phone packs a 6-inch display, but despite this, it is 8mm shorter and 3mm narrower than the LG V20 of last year, thanks to that almost Bezel-less Fullvision display. Also, it weighs just 158 grams and is 7.3mm regarding the thickness. This is, therefore, the lightest among the smartphones with a 6-inch+ display. The phone has a curved glass on the sides which gives a sleek and integrated look & feel. Just like the LG G6, there is no power button on the either side, and it is embedded in the fingerprint scanner on the back. The volume rockers, however, are present on the left. On the right, there is a SIM Card tray. The bottom of the phone has USB Type-C Port, Speaker Grill and the primary microphone. And yes, the headphone jack isn’t going anywhere yet as it is present on the top with the secondary noise cancellation microphone. Overall, it is a well-built smartphone with a beautiful all metal and glass design. LG says that the company has applied a cooling pad and a heat pipe in the phone to dissipate the heat quickly. The phone is perfectly sealed and hence IP68 Dust and Water Resistant too. Also, it has MIL-STD 810G Military Grade Protection. Just like almost every high-end smartphone of 2017, the phone has a bezel-less display that LG calls the ‘Fullvision’ Display. This time, the LG V30 gets a 6-inch OLED Fullvision Display (2880×1440) with an aspect ratio of 18:9. The Pixel density is 564ppi which is more than that of the Note 8’s display (521ppi). Talking about the protection, the front as well as the back of the phone has the Gorilla Glass 5 layer, just like the Samsung Galaxy Note 8. 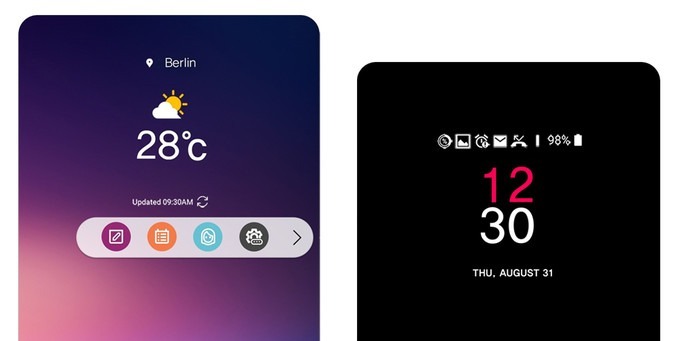 Unlike the Ticker display of V10 and V20, LG has introduced the Floating bar that has various shortcuts like Notes, Settings etc. Users can access it by swiping from the side of the display. So, you can say that it is somewhat similar to the Edge Screen of Samsung. The LG V30 is powered by a Snapdragon 835 processor with Adreno 540 GPU. There is 4GB LPDDR4x RAM along with the 64GB UFS 2.0 ROM. Also, the storage can be expanded up to 2TB. Coming to the cameras, the phone has a dual rear camera setup with a 16MP Primary camera with f/1.6 aperture and a secondary 13MP camera with f/1.9 aperture and a Wide Angle Lens (120°). On the front, there is a 5MP camera with f/2.2 aperture and 90° wide angle. Under the hood, the phone runs on Android 7.1.2 Nougat and has a 3,300mAh battery with Quick Charge 3.0 and Wireless Charging support. Sweet. The LG V30 features a 32-bit Hi-FI Quad DAC for a better Audio experience. There are some digital filters included in the settings of the Hi-Fi DAC that adjust the pre- and post-ringing of the impulse response of music. The V30 is the first global smartphone to support MQA (Master Quality Authenticated) technology that allows for the streaming of high-resolution audio. LG V30+ – IS IT DIFFERENT? The LG V30+ might sound like an upgraded version of V30 with bigger RAM etc. but in reality, this is just a 128GB ROM model of the V30 with a different name and nothing else. Also, it will be available in limited markets. 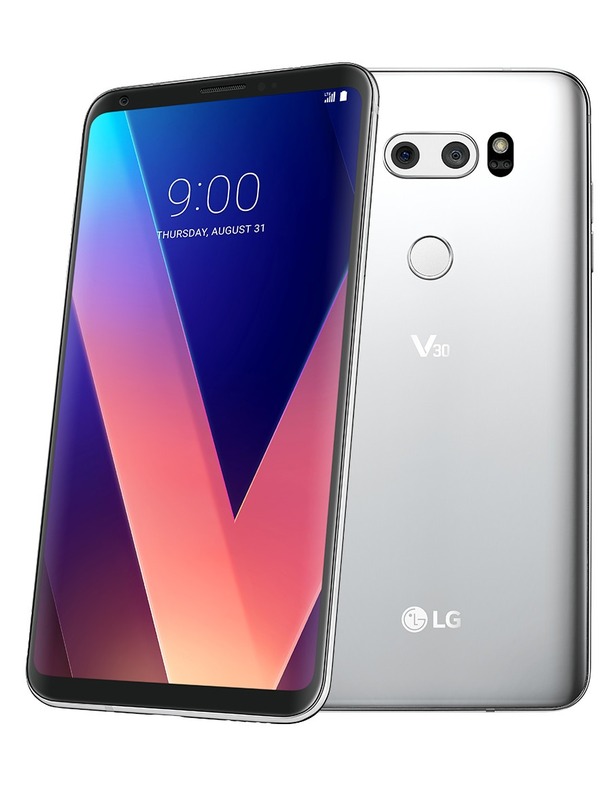 The LG V30 will be available in South Korea on September 21st. Later, key markets in North America, Asia, Europe, Africa and the Middle East will get the device. The V30 is launched with four different colors that include Aurora Black, Cloud Silver, Moroccan Blue, and Lavender Violet. As mentioned above, the LG V30+ with 128GB ROM will be available in limited markets. 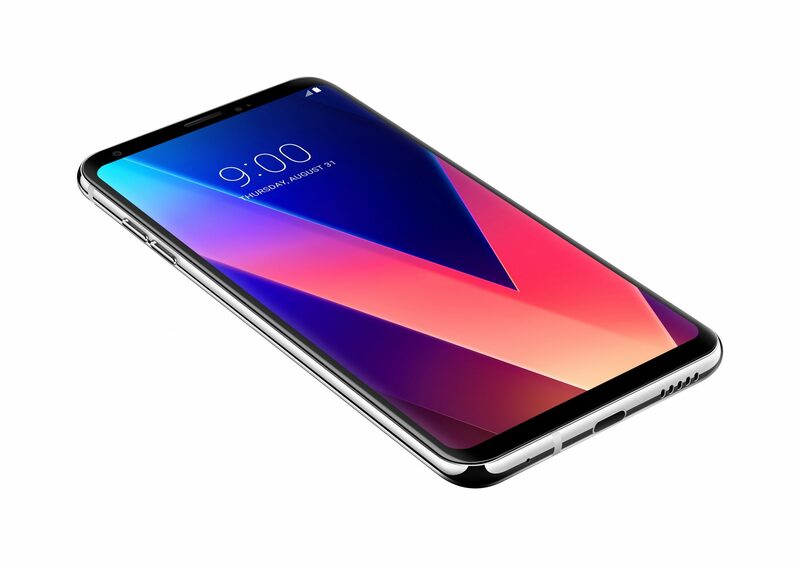 What are your opinions about the LG V30? Do let us know via the comments section. Well, the phone looks great with cool specs. In general, the LG phones are good. But, their after sales service is something which leaves you wanting more. look at how LG handled the issue of “Bootloop” that affected many of their phones including the Google – LG Nexus 5X. Inspite of acknowledging that its a defect in the phone, LG is charging for the motherboard replacement cost from customers to fix this issue. The lame excuse they give is that the phone is out of warranty so the customer have to pay up for the motherboard replacement cost. This is just not expected from a company like LG.